Summer Flute Choir Workshop at Schmitt Music Edina! Paul Edmund-Davies "Mission Possible Tour" at Schmitt Music Brooklyn Center! 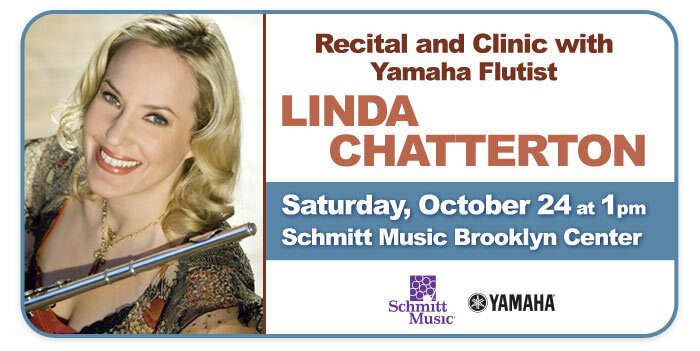 Yamaha Flutist Linda Chatterton, Recital and Clinic at Schmitt Music Brooklyn Center! Amadeus Flutes by Wm. S. Haynes are now available at your Schmitt Music store! Grand Opening of The Flute Shop at Schmitt Music Brooklyn Center!